but tell mi, weh all dat really mean? Just over two months ago it was widely reported that we were witnessing the third-ever global coral bleaching event since 1998. Coral bleaching events, linked to the warming that accompanies climate change, essentially constitute an underwater heatwave on a global scale. They threaten to wreak havoc on ocean ecosystems by killing off coral. Many of the news media reports in this country focussed on Australia’s Great Barrier Reef. Few made mention of the largest barrier reef in the Western hemisphere, and second-largest in the world, which is located off the coast of the Caribbean country of Belize. This neglect is unsurprising given that the Caribbean is not afforded a particularly prominent role in the discussion of global issues generally. In relation to climate change, Caribbean countries have joined other vulnerable states in demanding an upper limit to warming of 1.5°C (‘to stay alive’), not the 2°C favoured by richer countries. In Paris at the recent COP21 UN climate change conference, the 1.5°C target was only given the vague ‘commitment’ that countries would ‘pursue efforts’ towards this figure, with the ‘long term goal of’ 2°C being that which was formally agreed. In practice, much of this is moot. Under countries’ current commitments we’re heading towards 2.8 – 3.8°C of warming. Such a trajectory spells more disaster for a region already disaster-prone through no fault of its own. Back to Belize then, where I spent 3 months in 2010 – 2011 while conducting fieldwork on the sociology and politics of climate change in the Caribbean region. While there, I was alerted to the conflicts and tensions that arose over proposed oil drilling in protected areas. A sociological examination of Belize’s history can help to better explain how and why conservation and development come into tension in Belize, and why drilling for oil – a notoriously toxic activity – came to be represented as a desirable development option. In 2010 a collection of NGOs managed to get hold of a map depicting the whole of the country divided into oil exploration concessions (the map can be found here). Crucially, the concessions included the over 26% of Belizean land and sea currently designated as a protected area. Joining forces to form a coalition, the Belize Coalition to Save Our Natural Heritage, these NGOs launched a concerted campaign to stop the Government of Belize from allowing drilling to take place both offshore and in Belize’s protected areas. Part of the reason that the leak of the map, and the campaigning that accompanied it, generated such opposition was because it came in the wake of the Deepwater Horizon Oil spill. This spill, which occurred in the neighbouring Gulf of Mexico, has seen irrevocable damage done to the ocean, wetlands, and their flora and fauna, costing BP, the company found legally responsible, tens of billions dollars. For a country like Belize, that relies on a substantial proportion of its revenue from ‘eco-tourism’, the prospect of an off-, or on-, shore spill seemed unthinkable. Of particular concern was the threat to the UNESCO world heritage designated Great Barrier Reef. Belize, like all Caribbean nations, is being particularly hard-hit by the unfolding of climate change. The prospect of rising sea-levels threatens inundation for much of Belize’s low-lying land, for instance. In spite of not having contributed much by way of carbon emissions, and with much of Belize’s virgin forest acting as a carbon sink, the country does not have many resources to actually respond to these climate changes, hence the need for some form of financial support, or ‘development’. Yet, in a perversely paradoxical parallel, both as the leaked oil concession map and the Government of Belize’s bullish initial statements indicated, one proposed ‘solution’ to the problem of development is the drilling of the very same fossil fuel that has contributed so much to the climate crisis in the first place. Those in favour of drilling look to Trinidad and Tobago, where oil has helped to make it one of the richest countries in the region, with the lowest sovereign debt ratios in the Caribbean. The benefits of oil revenues are somewhat undermined by the vulnerability that accompanies global oil price shifts, however, as well as the damage caused by the seemingly inevitable spills that occur. In addition to the potentially toxic effects on the environment, one of the main flashpoints in the conflicts surrounding oil drilling occurred around the struggles over the rights of some of Belize’s indigenous Maya peoples. Since 2005, the Sarstoon-Temash Institute for Indigenous Management (SATIIM), co-manager of the Sarstoon Temash National Park, a protected area in southern Belize, has been engaged in ongoing disputes with the Government of Belize over the latter’s granting of a permit for seismic drilling in the park. Not only was the creation of the park itself seen as a potential threat to the Maya communities who had occupied the area for generations, but the granting of permits to a foreign company without the permission of these communities was seen as a deliberate disenfranchisement of these people from their traditional lands. (The majority of indigenous peoples in Southern Belize are officially landless). As mentioned above, part of the reason why protests over the proposed drilling by environmental and conservation NGOs had such traction in Belize is because of the strong recent history of a legislative framework for conservation in the country. 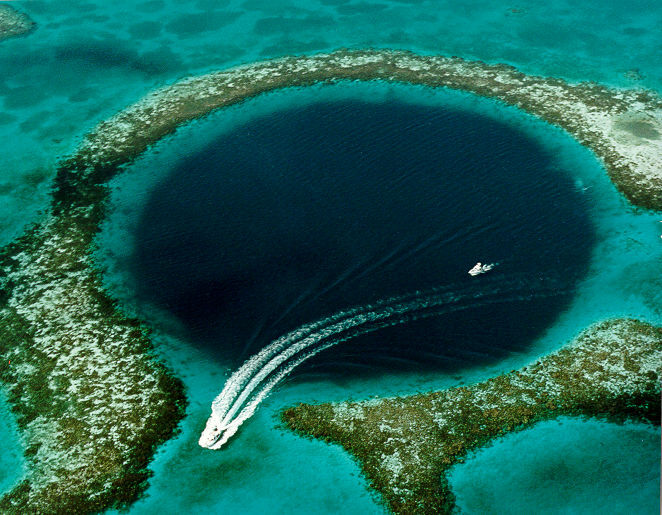 In 1996, for instance, UNESCO designated the Belize Barrier Reef as a World Heritage Site. An expansion in marine conservation followed. Whereas once the barrier reef offered protection to buccaneers and pirates, now it is protected for its biodiversity. Over half of the country’s 69% of forested land is currently designated as one or another form of ‘protected area’. It is worth asking, then, why such a potentially toxic activity is being pursued with such gusto by the government. This can only be understood if the history of Belize, and its status as a former British colony, is taken into account. Part of the reason why oil exploration seems attractive is due to the fact that, again, like most Caribbean countries, Belize has a substantial sovereign debt burden. Consequently, a considerable amount of the revenue generated by the Government goes towards keeping up the interest payments on that debt. Yet the reasons why the country is struggling financially can be linked to the history of development in Belize. Throughout its time as a British colony, ‘development’ in British Honduras meant the structuring of the country, and the use of its natural resources, was done in such a way as to serve the needs of the colonial elites. The focus of the initial colonial administration was thus geared towards ensuring the smooth extraction of tonnes of mahogany, for the European luxury furniture market, and logwood, for the dyeing industry. Land was portioned out to the new settlers with little regard for the existing indigenous inhabitants. Indeed, Maya peoples were often viewed either as a threat to the lucrative logging industry, or, especially in the wake of the abolition of slavery, as a potential source of cheap labour. Following Belize’s independence, the country was entered into global relations in a disadvantaged position in part because of the fact that colonial elites had expropriated much of the wealth that had been generated by the colony. Belize’s economy is therefore a highly dependent one. Promise has been sought in forms of conservation-orientated ‘sustainable development’, yet lurking in the background are often neoliberal models of economy and society which neglect peoples’ differing interests. Problems are reframed as opportunities for economic growth, with nature being protected via investment and consumption as in the case of the widespread promotion of ‘eco-tourism’. The system of protected areas management that underpins conservation in Belize, for instance, strictly regulates peoples’ use in accordance with quite specific development ideals. And so it is that the relatively benign practices of communities of forest dwelling indigenous peoples, whose co-existence with the myriad species of tropical flora and fauna has been a model of sustainability for centuries, comes to be recast as ‘unsustainable’ when judged according to technocratic notions of sustainability applied in line with global north social imaginaries. Community members who have for generations practiced forms of subsistence agriculture might get retrained as tour guides for protected areas. Fishermen might be encouraged to change their practices of fishing in protected areas, and instead to participate in community banking. Inexperienced people are not always very well equipped to become market actors, however, and can be taken advantage of even when formal property rights exist. Moreover, financial recompense might not constitute sufficient compensation for the loss of access to land, particularly if part of that loss is spiritual. In addition, tourism is a fickle industry which is subject to fashion trends, often leaving those who rely upon it vulnerable and less self-sufficient than previously. Fortunately, it does seem that the efforts of the Belize Coalition to Save Our Natural Heritage have borne some fruit. The Government recently announced a policy to partially ban offshore drilling in an area near the reef. Elsewhere, the government has since allowed offshore exploration contracts to lapse. Not all of the limitations on oil drilling stem from positive policy action though: the company, US Capital Energy, was forced to abandon drilling in the Sarstoon Temash National Park after dangerous levels of the potentially hazardous gas hydrogen sulphide were encountered. Ultimately, the situation in Belize will be largely dictated by the aforementioned developmental pressures, but in conjunction with worsening climatic conditions. Crucially, as we are set to far surpass 1.5°C of warming, concerns over the health of the barrier reef may fade in favour of the existential threats induced by catastrophic climate change. (1) From the collection ‘Mahogany Whispers’. Reproduced here with the author’s expressed permission. (3) Belizean Kriol phrase meaning ‘This is ours’. Leon Sealey-Huggins works in the Department of Sociology at the University of Warwick. His research centres on the social relations of climate change, with a particular focus on the Caribbean region. He is also active in a number of social movement struggles, including those around higher education and campaigns for climate justice. A version of this article will appear on Toxic News.